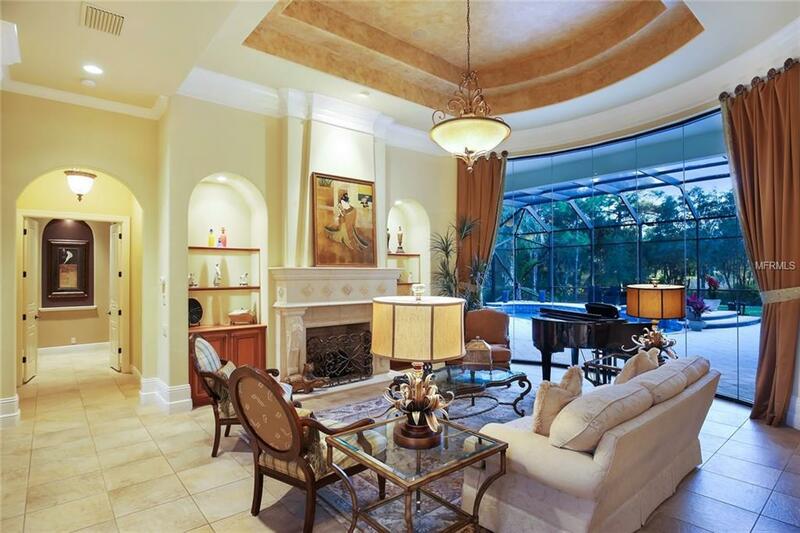 Luxuriously Designed - 4.24 acre estate home located in a private tranquil community. As you drive up the long winding driveway you will be awed at the majestic architecture of this beautiful home built by award winning John Cannon Homes.This property truly has all the architectural elegances and custom details you expect. Newer construction with high ceilings and a great split floor plan for family and entertaining. Enjoy the grand open entertainment spaces as the inside and outside easily become one. Gourmet chef's eat-in kitchen with island and high end appliances, opens to a large family room. Large master bedroom located on the first floor with his and hers walk in closets. Enormous master bathroom with dual vanities, Jacuzzi and large walk-in shower, with dual shower heads. Three additional spacious bedrooms and laundry room downstairs. Upstairs private bedroom with entertaining area and private balcony ideal for guests, teenagers or extended family. Heated saline pool & spa, outside kitchen area with build-in pizza oven, grill and fireplace. Stunning living room with a cozy fireplace overlooking the pool area and peaceful nature preserve. Formal dining area with bar and temperature controlled wine cellar room. 4 car garage spaces. In addition to the 5 bedrooms and 5 baths, this home has a stately office with built-in cabinetry. This exquisite home is also available fully furnished.